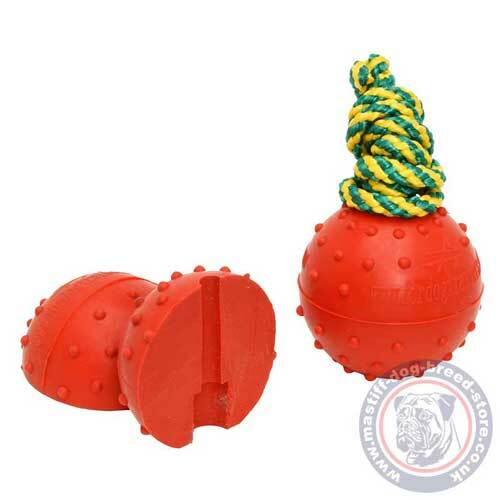 Try a solid rubber ball on rope of 2.3 in (6 cm) diameter for dog water games and training. Dog water toy is a non-sinking, light, strong and solid rubber ball with string for dog games outside, at banks and shores. Our cheerful and active pets enjoy activities. Make a daily dog walking interesting and bright with new Mastiff dog toys! We made this dog water toy non-sinking and bright to easy find it in water or grass. 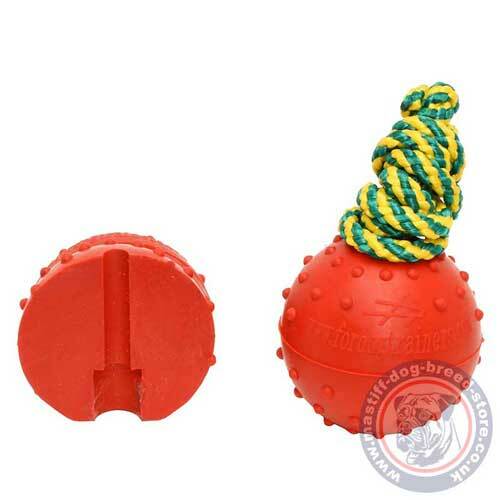 Strong solid rubber ball is almost indestructible dog toy! Your dog may chew and bite it. The solid rubber ball is made of strong and safe, non-toxic materials. Dog water toy is a strong, reliable, interesting and bright dog toy for active and happy dogs.